It is updated frequently. So it is always up-to-date with the newest and/or best components. All components have been carefully selected for specific purposes. It is not just a random bunch of stuff thrown together. It is very user-friendly and easy to use. The customization abilities even go beyond the component level. Some components are able to handle multiple formats. You can specify exactly which components should handle which formats. The pack can thus be fully tweaked to your own specific needs and preferences. Uninstallation removes everything that was installed by the pack. Including all registry keys. AxCrypt is used to share and work with stored documents, and e-mail attachments, in a secure manner. If your documents reside on a document sharing service, intranet or file server AxCrypt is especially well suited and will usually seamlessly integrate, and make sharing and storing sensitive data as easy as not protecting it. AxCrypt is great for protecting your documents such as private letters, correspondence, job information, medical information, financial details stored on a local hard disk or network server. Just right-click any document file and encrypt it with AxCrypt. Viewing and opening for update is just as convenient as before encryption due to AxCrypt's automatic decryption/open/re-encryption function. If you use a Key-File on a diskette or USB thumb drive, your files will be encrypted to the highest level of protection as long the Key-File is kept secret. To encrypt a file, right-click it in Windows Explorer, select 'AxCrypt > Encrypt' and enter a pass phrase plus the path to an optional strong key file. To edit or view an encrypted file - just double-click it. 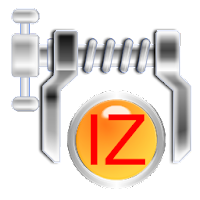 IZArc is a freeware archive utility supporting many archive formats like: 7-ZIP, A, ACE, ARC, ARJ, B64, BH, BIN, BZ2, BZA, C2D, CAB, CDI, CPIO, DEB, ENC, GCA, GZ, GZA, HA, IMG, ISO, JAR, LHA, LIB, LZH, MDF, MBF, MIM, NRG, PAK, PDI, PK3, RAR, RPM, TAR, TAZ, TBZ, TGZ, TZ, UUE, WAR, XXE, YZ1, Z, ZIP, ZOO. With a modern easy-to-use interface, IZArc provides support for most compressed and encoded files, as well as access to many powerful features and tools. It allows you to drag and drop files from and to Windows Explorer, create and extract archives directly in Windows Explorer, create multiple archives spanning disks, creating self-extracting archives, repair damaged zip archives, converting from one archive type to another, view and write comments and many more. IZArc has also build-in multilanguage support. If you need to send large files to your colleagues, friends or customers who may not have archiving tool you can easily create self-extracting archive that can be extracted by simple double click. IZArc can be configured to run your preferred Anti-Virus scanner when you open any archives. It also supports 256-bit AES encryption to secure your data.